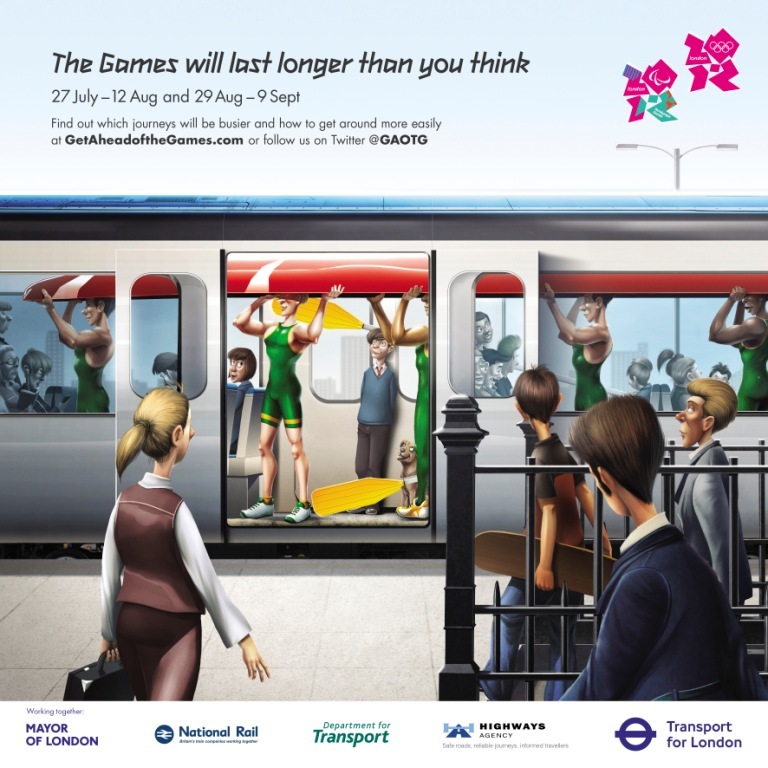 An increasingly familiar sight in London are posters on public transit that invite residents and workers to “Get ahead of the Games.” The message is that the London 2012 Olympic and Paralympic games are happening, like it or not, but life for the average Londoner should continue as normal — or at least as normal as possible. Yet one particular poster sums up well the lack of regard for London’s poorest, and an ignorance of the difference between the mild inconvenience some will face due to the games and the stark reality that, for many, the period will mean getting to work becomes nearly impossible. 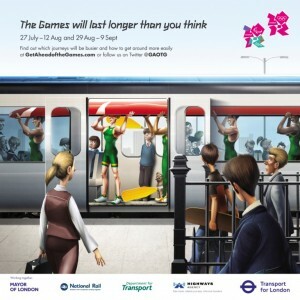 “Walking part of your journey may be quicker during the Games,” it reads. With jobs in London heavily concentrated in the city’s center, where housing is least affordable, many are already forced to embark on long commutes from the peripheries of the city. If they could avoid some of London’s expensive transit fees by walking, they already would. The games themselves, meanwhile, are helping to erode what public housing there is in Inner London. Since the announcement in 2005 that the city had won its host bid, there has been much talk of the legacy that the Olympics will leave once the summer is over. While some people who are more detached from life in east London imagine an abundance of publicly accessible sporting facilities — though recent host cities such as Athens suggest that debt and derelict buildings are more likely — it has been abundantly clear for residents of London’s East End for some time that the true legacy will be a city cleansed of its poor. Gentrification sold as regeneration is nothing new and certainly it isn’t a stranger to Olympic host cities. But with London and the U.K. facing a housing crisis already, this latest assault on people’s homes has become a focus for activists in the city. One particular site where organizing to defend homeowners and tenants has begun is the Carpenters Estate in Stratford, Newham. The estate finds itself adjacent to the Olympic site, including the main stadium and aquatics center. If one has seen the beautiful aerial photos of Olympic Park, they were no doubt taken from atop one of the Carpenters high-rises, and these views present a tempting opportunity for businesses and developers. It has already become clear that University College London (UCL) has its eyes on at least part of the Carpenters Estate, hoping to join other institutions, such as the University of London’s Birkbeck College, which have already expanded east from their central London home of Bloomsbury. Universities, despite what their spokespeople might suggest, are unlikely to bring new jobs for residents. But what they have brought are students fresh from fighting battles with university management over course closures, low wages, redundancies and tuition fee changes, and who are more than willing to provide solidarity with residents threatened by the likes of UCL. Those living on the Carpenters Estate and students from universities around Bloomsbury have already been organizing together through Carpenters Against Regeneration Plan (CARP). For now, they’ve focused on ensuring people know what Newham council and UCL plan to do. While delegates from the International Olympics Committee were going on tours of the Olympic sites, CARP held its own public tour of the Carpenters Estate, which made it impossible not to see a still thriving community left to rot and placed under threat. With that campaign is in its relatively early stages, others have been organizing around the effects of the Olympics on their doorstep for longer. Residents living near Leyton Marshes decided to camp-out and halt construction of basketball training facilities that fenced off much of their green space. This particular piece of direct action was taken in conjunction with protesters from Occupy London, and it is another example of collaboration between local communities and movements well-practiced in direct action. As the Olympics continues enclosing spaces across London, it has also begun to make that space ever less livable. Many parts of the city are set to essentially go into lockdown during the games. The result of the Leyton Marsh occupation was that several protesters found themselves taken to court, given fines, held in custody and even presented with Anti-Social Behaviour Orders (ASBOs) designed to keep them away from Olympic sites, the torch relay and anyone connected with the Olympics. Even protest actions unconnected to the Olympics in any real sense, such as Occupy London’s recent day of action, have seen bail conditions imposed that mirror the use of ASBOs to keep activists far from anything Olympics-related. It is also becoming clearer how “Dispersal Zones” — areas where police can require groups to disperse and leave — will be used during the Olympic period as the Metropolitan Police have announced that much of Stratford will become one of these zones. As the levels of security that London will face becomes apparent, activists have begun to respond by transferring skills developed within activist circles to community organizing. The Newham Monitoring Project, an anti-racism group at the heart of east London, have begun training Community Legal Observers that will provide similar support to that seen on demonstrations but with the particularities of law surrounding the Olympics and the community in mind. When one considers that between 24,000 and 49,000 military, police and security personnel are being deployed during the Olympics, it is easy to see why oversight is vital. When what is meant to be the greatest show on earth is on your doorstep, it becomes terrifyingly clear that it presents more of a threat than an occasion to be enjoyed. Activists look to the U.S. and note the recent use of the Long Range Acoustic Device (LRAD) at the #NoNATO demonstration in Chicago in May, knowing that this weapon will be deployed on the Thames River during the Olympics. It is easy to be put off from organizing as a result, but activists understand that, if such measures are quietly tolerated, it will be less likely that they will disappear once the games are over. Activists will be defending community spaces in London both from enclosure and security in the run up to, during and after the Olympic spectacle comes to town.